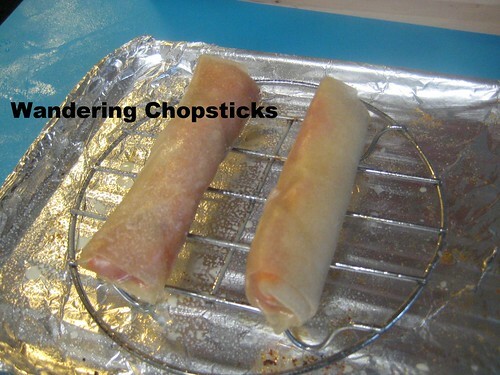 A while back, I got an email from one of my readers asking if she could bake egg rolls. She feared deep-frying anything after an oil splatter incident, she explained. Understandable. I suggested a deep-fryer with a lid. That idea was nixed too. 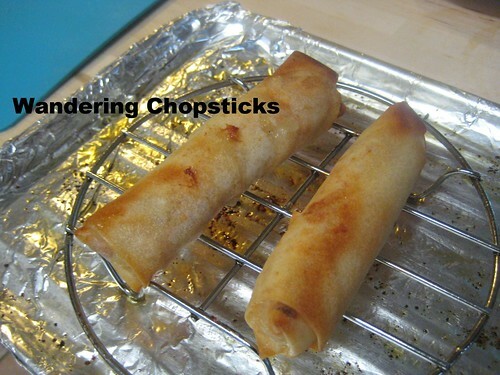 But, deep-frying egg rolls is far superior to baking them. The only time I've baked egg rolls is if I'm re-heating fried ones. 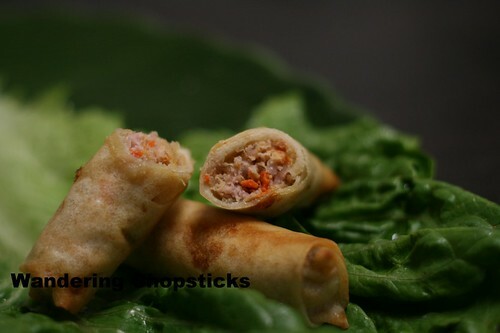 Obviously, you don't need me to write a whole blog post telling you to bake the usual recipe for egg rolls. 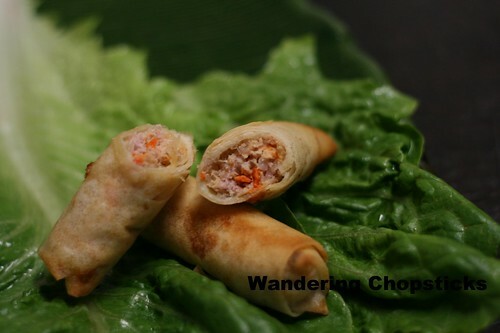 Since I was making Cha Gio Cua Be (Vietnamese Crab Egg Rolls), I decided to set aside a few for experimenting. I wanted to replicate, as close to possible, the crispness of fried egg rolls, but by baking them. What these egg rolls needed was oil. This isn't the healthy alternative to frying egg rolls. Maybe juuuust a smidge healthier, but really, I was after a baking alternative that didn't require you to stand over a pot of boiling oil. Think it worked? Do those egg rolls look like they were fried? 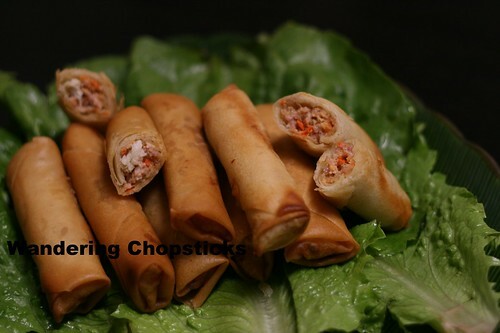 We begin with two wrapped egg rolls. The left was spritzed with oil spray, the right was brushed with oil. Make sure they're on a rack so the oil can drip out. 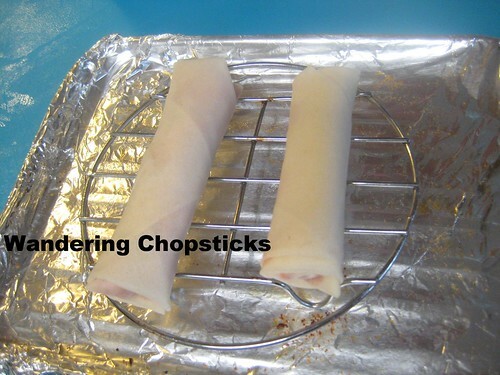 Bake at 350 degrees for about 20 to 25 minutes, making sure to flip the egg rolls halfway through. Can you tell which is which? The far right on top and the cut in half on the right are the baked egg rolls. The rest were deep-fried per the usual method. Brushing with oil was better than just spraying with oil. More oil concentration meant that when baking, the wrappers would crisp more. If you don't have a kitchen brush, you can also use chopsticks and dip the egg roll into a bowl of oil and let the oil drip out on the rack. So if you're afraid of deep-frying or just feeling lazy, this method might be for you. Just brush with oil, bake on a rack so excess oil can drip out, and you have almost the same crispy, browned taste without the hassle. Other tips can be found in Peek in My Kitchen. 1 year ago today, Fried Rice with Chinese Sausage, Eggs, and Lettuce. 2 years ago today, Duet rose. 3 years ago today, Seaworld Seafood Restaurant BBQ and Dim Sum To Go - Rosemead. 4 years ago today, Chili. You are awesome! I never thought about the brushing/spritzing with oil. I done a test batch a couple months back but it would never get brown. Definitely need to try it again. Thank you for doing all the research for us non-frying folks! Yay!!!!! It only took me how long to answer your question? :P Brushing or dipping with oil, either works as long as there's some oil there to help brown it while baking. Haha. I didn't know there were so many people who hated or were afraid of frying! frying in the house leave a big smell. we live in a country that's very cold in winter, we can open the window. Yes, so if you try baking the egg rolls instead, it doesn't leave nearly the same smell as frying.